The death of the Hon. 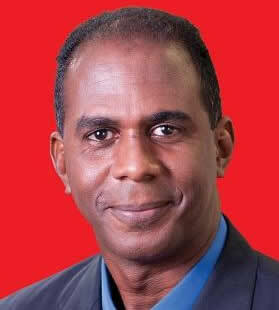 David John Howard Thompson, Prime Minister and Democratic Labour Party representative for the constituency of St. John resulted in the By-Election on 20 January 2011. There were two candidates contesting the election - Mara Thompson, window of David Thompson for the Democratic Labour Party (DLP) and Hudson Grifith for the Barbados Labour Party (BLP). The result was victory for Marie-Josephine Mara Thompson of the DLP with 89.30% of the vote. In the process, she also outperformed her late husband, who won 4,300 votes in the 2008 general election. Hudson Everett Griffith was born on 8 August 1965 to the Rev.Granville Griifth and the Rev.Audrey Griffith in St.Vincent and the Grenadines where they were serving as missionaries for the Church of the Nazarene . He came to Barbados at the age of four and is a Barbadian citizen, getting his early education at the then Water Street Boys' School (now Milton Lynch Primary) and then privately, before attending the Lodge School for his scondary education. On leaving school, Hudson made an early entry into the world of business where he has been operating for some 25 years as a building contractor and in other fields. Having decided that the private sector was where he would work, he went on to enhance his training and knowldege in this area, graduating from BIMAP ( Barbados Institute of Management and Productivity) in Industrial Psychology, Marketing and Small Business, and from the Samuel Jackman Polytechnic in Construction Supervision. Always seeking to become more knowledgeable and better qualified, Hudson is currently pursuing a Construction Technician Diploma with City and Guilds. Hudson is married to Maria, an employee of Butterfield, and have one son and two daughters . He also has two brothers. Away from the hustle and bustle of the business world, Hudson remains active in volleyball in which he has represented Barbados at the national level. Marie-Josephine Mara, nee Giraudy, is the widow of late Prime Minister David Thompson. 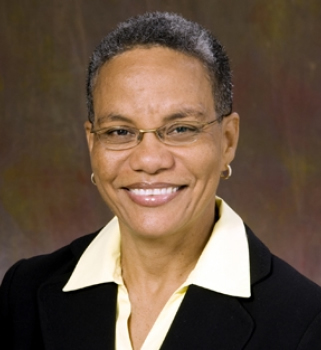 Mara Thompson was born in St Lucia on 4 October 1961 to Monica and Henry Giraudy. Her early education was at St Joseph’s Convent in Castries. From 1979 to 1983 Mara continued her studies at the University of Western Ontario in Canada where she earned a Bachelor of Arts degree in physical education. Later, she attended Howard University in Washington DC from 1986 to 1988 and gained a Master of Science degree in physical education. Mara also studied at the Barbados Community College from 2005 to 2007 and obtained a certificate in paralegal education. Mrs. Thompson taught physical education from 1986 to 2005 at several institutions – the Owl School, Washington DC, Immaculate Conception High & Prep Schools in Kingston, Jamaica, Castries Comprehensive Secondary School, St Lucia, Christ Church Foundation School and Combermere School. As a paralegal, she has worked at her late husband’s law firm, Thompson & Associates. Her hobbies include playing tennis, golfing, swimming, cycling and jogging. She enjoys cricket, reading and listening to music. Mrs. Thompon has three daughters – Misha, 20, Oya, 17, and Osa-Marie, 9.